October will also see India''s heaviest rocket 640-ton GSLV Mk III flying up with GSAT-29 with Ka x Ku multi-beam and optical communication payloads. 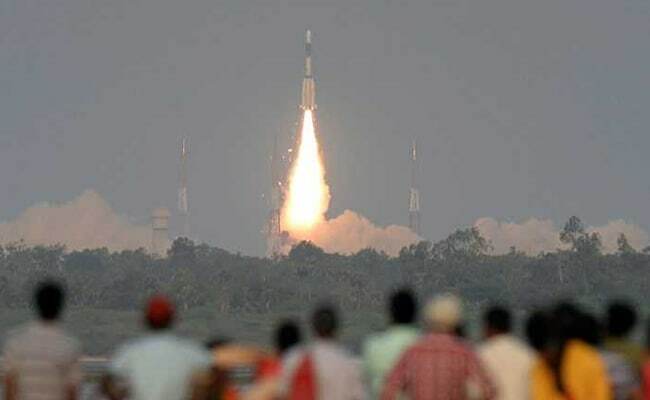 The Indian space agency will have a busy year-end with several rocket launches planned from its rocket port at Sriharikota in Andhra Pradesh, said a top official. The GSAT-11 satellite, which had been recalled from Arianespace's rocket port in French Guiana for further tests, is also expected to be put into orbit by Arianespace's rocket Ariane by the year end, the official said. "The calendar year end will be a busy one for ISRO (Indian Space Research Organisation), launching satellites with our three rockets -- Polar Satellite Launch Vehicle (PSLV) and Geosynchronous Satellite Launch Vehicle (GSLV Mk II and Mk III). "Starting September there will be rocket launches with Indian as well as foreign satellites," K. Sivan, ISRO Chairman told IANS on Monday. According to Mr Sivan, in September ISRO will fly a PSLV rocket with two foreign satellites, earning revenue for the country. In October, another PSLV rocket will fly with an Indian remote sensing satellite and several foreign satellites. October will also see India''s heaviest rocket 640-ton GSLV Mk III flying up with GSAT-29 with Ka x Ku multi-beam and optical communication payloads. The mission targets Village Resource Centres (VRC) in rural areas to bridge the digital divide. Queried about the 5.8-ton GSAT-11, a communication satellite that was recalled from French Guiana this April, Mr Sivan said: "We expect the satellite to be launched before the end of this year. Discussions with Arianespace are on regarding the time and date of the satellite launch."